I recommend reading the announcement post for all the details, but I'll briefly explain it here. In a nutshell, Treble separates all the low-level drivers (aka 'vendor implementation') from the rest of the Android system. This means that waiting for updated chipset drivers before updating a phone/tablet is no longer required, as long as the drivers support Treble. All phones starting out with Android 8.0 Oreo are required to support Treble, but it's optional for phones being updated to Oreo from a previous version. 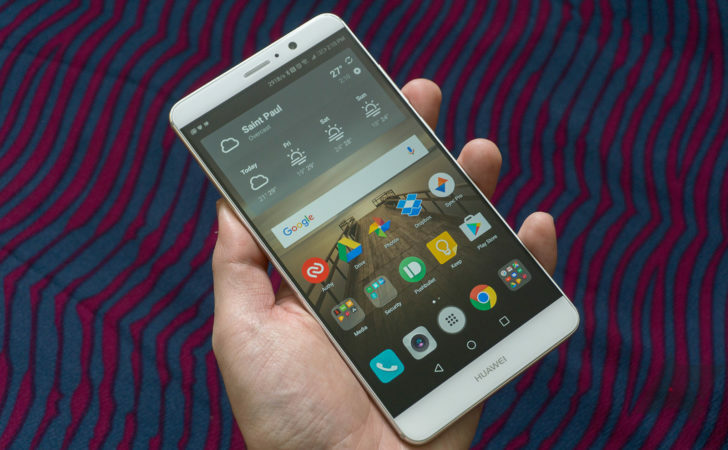 The Huawei Mate 9 originally shipped with Android 7.0, but Huawei began sending out invitations to the 8.0 beta program last month. Developers found a welcome surprise in the Oreo beta test - support for Project Treble. One developer on XDA, Phhusson, wanted to see if Treble actually made it easier to develop custom ROMs. Working with XDA member Mishaal Rahman, they only took a day to get an AOSP (completely stock Android) ROM booting on the Mate 9. No kernel modifications were needed, and no AOSP ROMs for the Mate 9 previously existed. As the late Billy Mays would say, "But wait, there's more!" Phhusson went on to create an experimental AOSP ROM that can boot on multiple devices from multiple manufacturers that support Treble. The same system image boots on the Essential Phone, Huawei Mate 9, Honor 8 Pro, Xperia XZ1, and Xperia XZ1 Compact. There are two different builds for different partition schemes, but for the most part, it's the same image running on vastly different hardware. There is some missing functionality at the moment, like a broken camera on the XZ1 and no audio on the Essential Phone, but that is seriously impressive regardless. In the near future, perhaps major custom ROMs will have combined builds for all Treble-supported phones. We'll probably also start to see AOSP ROMs for more phones that never had stock Android builds, like the Mate 9. I'm excited to see what developers will do with Treble next.